About your visit to our cozy cottage in a quiet forest location with rank extensive hiking we would be very happy! Frenkhausen is a small hamlet of Meschede with 200 holiday homes and 365 inhabitants. The site, which is 300 meters high, is distinguished by its beautiful location in the Homert Nature Park and offers guests tranquility. The streets of the small village of a busy evening walks. The beautiful Sauerland mountain landscape, however, is to explore well walking around Frenkhausen daily. Our house has a large living room with pellet stove which ensures cozy warmth, a fully equipped kitchen with dishwasher, bathroom with shower and 2 bedrooms. In addition, the house has a beautiful garden and two terraces. Towels: to rent once per object for 5 EUR (optional). Bed linen: once to rent per object for 9 EUR (optional). Heating: per object and day costs of 5 EUR (obligatory). Super gelegenes Ferienhaus mit allem an Zubehör was man braucht. Das Ferienhaus liegt direkt am Waldrand mit eigenem Parkplatz. 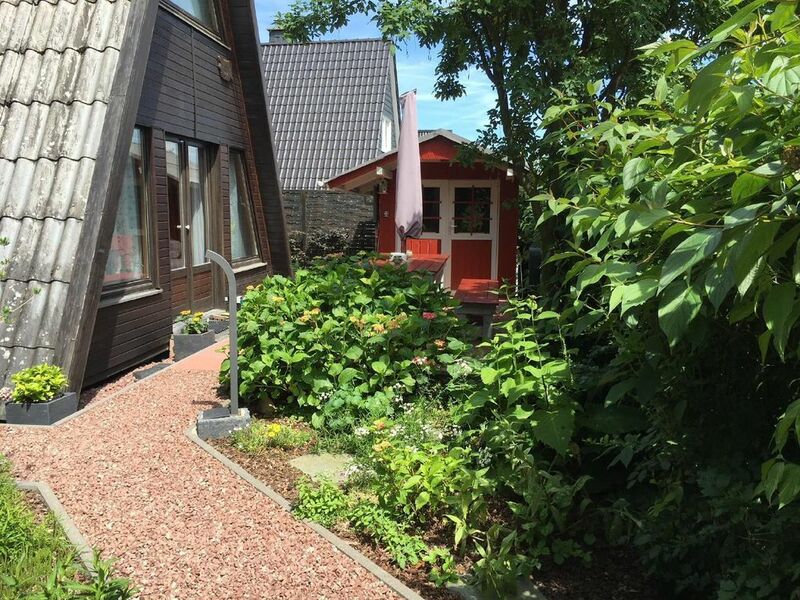 Das Haus ist sehr liebevoll eingerichtet und man findet dort alles was man braucht ob in der Küche oder im Gartenhaus. Nette Betreuung. Alles sauber und ordentlich. Süßes Häuschen. Schönes Haus - gut eingerichtet! Fijne, rustige omgeving. Voor 4 personen zeker ruimte genoeg. Om te slapen, moet he wel steil trapje op, dat is niet voor iedereen geschikt. Frenkhausen is a small suburb of Meschede with 200 holiday homes and 365 inhabitants. The site, which is 300 meters high, is distinguished by its beautiful location in the Homert Nature Park and offers guests tranquility and scenic beauty. The streets of the small village of a busy evening walks. The beautiful Sauerland mountain landscape, however, is to explore well walking around Frenkhausen daily. Linen (once per object costs EUR 9). Towels (once per object costs EUR 5). Heating (per property per day, included 5 EUR).